The quarterback play always has a big role in who advances. The Broncos completely shot themselves in the foot. Well, defensive backs Tony Carter and Rahim Moore did at least. How a safety allows Jacoby Jones to make that play with 30 seconds to play is baffling. When the Ravens were able to muster some pressure on Peyton Manning, it was obvious Manning was uncomfortable. His short passes were inaccurate (by Manning standards), and in the second half, Manning had 24 dropbacks and was pressured 10 times. The pressure led to two turnovers, including the interception in overtime that set up the Ravens’ game-winning field goal. 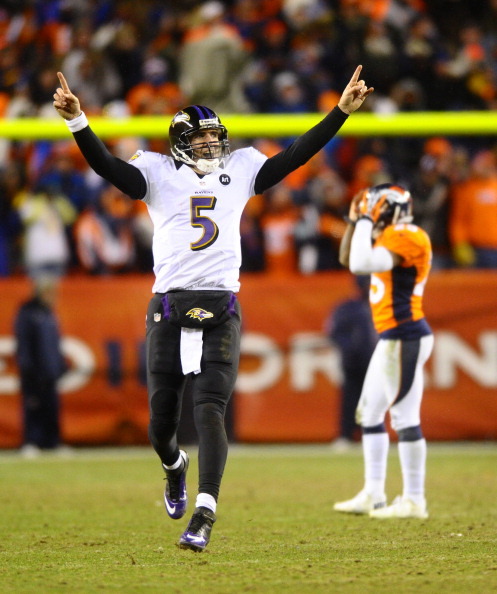 Meanwhile Joe Flacco, a looming free-agent, is hearing “cha-ching” with each postseason win he collects. If franchised, Baltimore would owe him over $14 million…he’s good, but is he $14 million good? The Packers got exposed defensively. A year ago, they ranked last in the NFL defensively, and between injuries and youth the unit got torched. They allowed 579 yards of total offense, and San Fran went 8-13 (61.5%) on 3rd down. The loss of LB Desmond Bishop hurt. Bishop had two consecutive 100+ tackles seasons and became a key cog in the Packers’ defense. He tore his right hamstring in the team’s first preseason game at San Diego. Colin Kaepernick played a little better than say, Joe Webb. 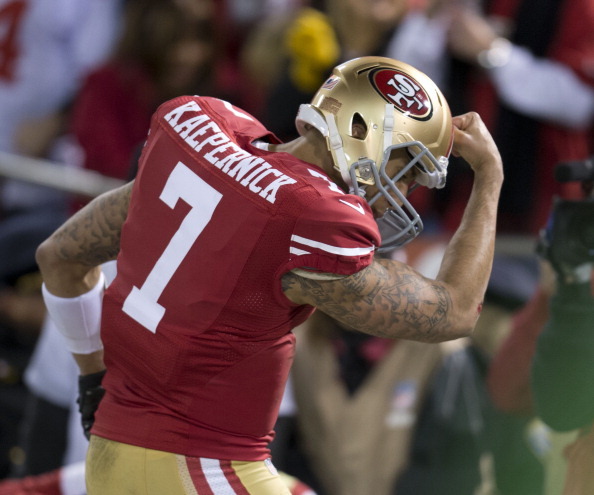 Kaepernick’s 181 rushing yards broke Mike Vick’s record 173 set in 2002. Kaepernick’s big arm has led to Michael Crabtree bursting onto the scene. Crabtree hauled in two scores, and has three consecutive weeks of a TD score over 15-yards down field. It’s hard to say the Seahawks should have won a game they once trailed 27-7, but if they had executed two scoring opportunities in the first half, Seattle would have a game next Sunday. On fourth-and-1 at the Atlanta 11, down 13-0, Seattle passed on a field goal and ran fullback Michael Robinson who was stuffed for a 1-yard loss by safety William Moore. Then, with the clock winding down before halftime, Seattle, out of timeouts, got greedy. Jonathan Babineaux sacked Russell Wilson and time ran out before the Seahawks could get off another play, sending Atlanta to the locker room with a 20-0 lead. Those 6 points turned out to be the difference. Russell Wilson is a special player. His fight and effort is relentless. Wilson had a QB rating of 86.4, throwing for 385 yards and a touchdown. 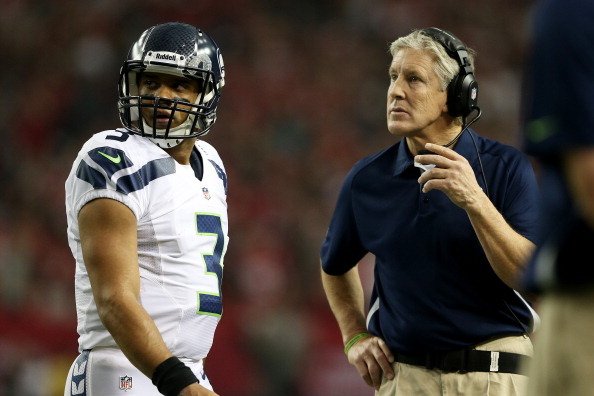 He led the Seahawks to 21 fourth-quarter points but it was ultimately not enough. Matt Ryan bailed HC Mike Smith out with two quick strikes. A 22-yard gain to Harry Douglas followed by a 19 yard pass to future Hall of Fame tight end Tony Gonzalez led to Matt Bryant banging home a 49-yard field goal to ensure another week of football in ATL. Nobody is in New England’s weight class. Not even close. When Houston failed to capitalize on an opening 94-yard kick return, this game was over. Field goals won’t cut it against Tom Brady and Co.
You have to feel for Texans coach Gary Kubiak, but he’s got to be more innovative and full-throttle. His passive, dink-and-dunk approach offensively failed again, and their promising 12-4 regular season ended in typical fashion: against the Patriots. Has there ever been a deeper unit offensively than New England? No Rob Gronkowski? No big deal. 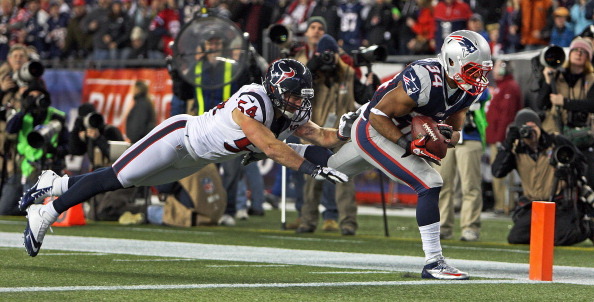 Shane Vereen, Stevan Ridley, Aaron Hernandez, Brandon Lloyd, Danny Woodhead, Wes Welker … it never ends. 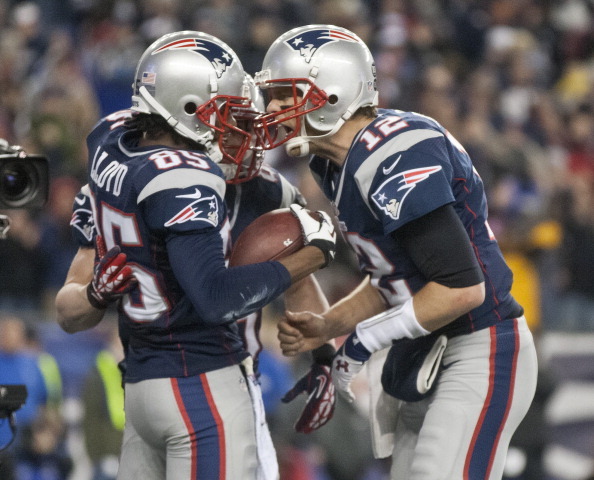 The 33-yard TD pass Brady delivered to Vereen in the 4th quarter was flat out beautiful. It brought back memories of Brian Schottenheimer saying Sam Bradford throws the best deep ball he’s ever seen … really? Brady burned the Texans when they blitzed, completing 12-of-19 passes for 208 yards and two touchdowns. Not to hit ‘em while he’s down but Matt Shaub may be the most overpaid QB in the NFL.